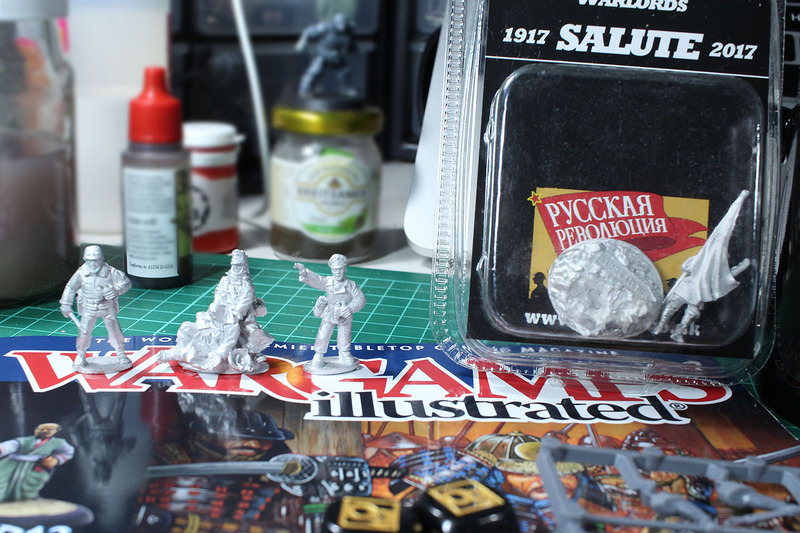 As some of the regular readers know, I have a weakness for limited miniatures, so the con miniature of a female russian bannerbearer was the minimum for this even. 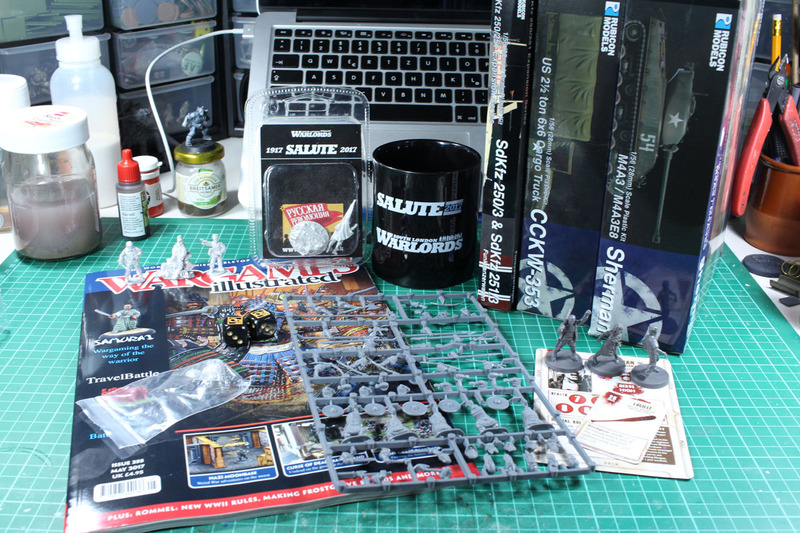 Even as I already have a sub with Wargames Illustrated digitally, and some of the Giants in Miniatures were already sold out, the purchase of a printed magazine was enough to acquire the exclusive Lionheart from them. 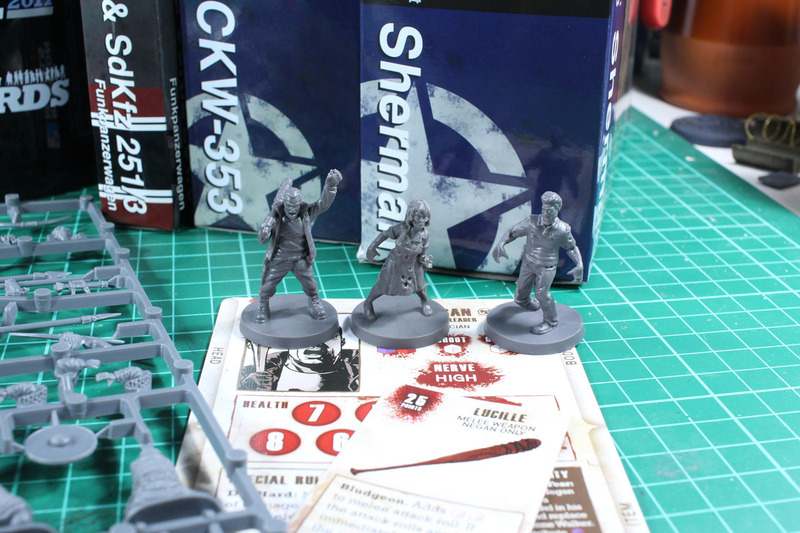 Unfortunately we were to late for Lee & Clementine (got those during Mantic Open Day), so we spend the mantic points on Negan and Zombie Ronnie. Over the years I've gathered quite a few limited, exclusive and rare miniatures from all kinds of different events and occasions. Currently tinkering on how to cover that part on this blog. If you have a good idea to share, please let me know. 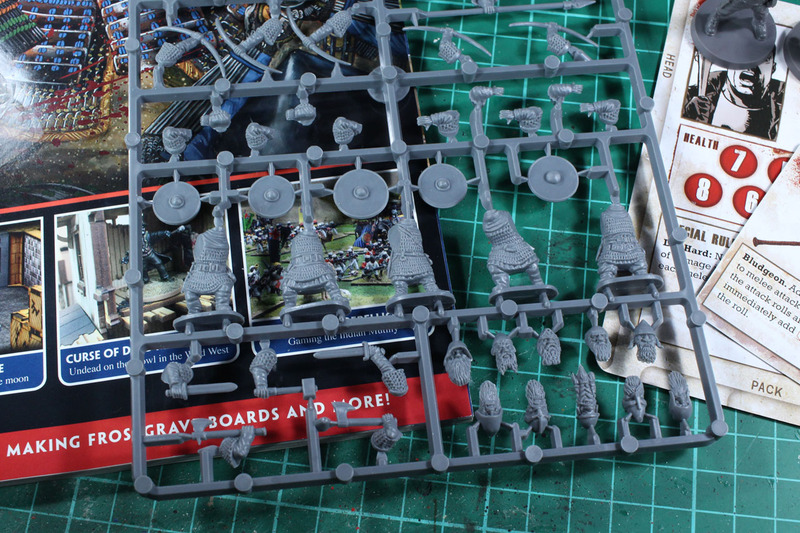 At Osprey Games / Northstar, some pre-release sprues from the upcoming plastic dwarves were available and those were high on my wishlist. Stay around, as I'll cover them in a short review. To be honest, there was something missing, to receive the miniatures and "haul" from a certain event but not participating. It is still half a year until Crisis, but a few other events are along the way, like last weeks Ad Arma Con.